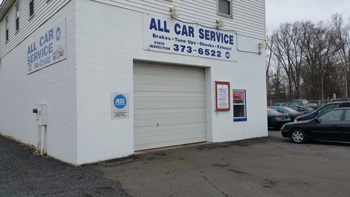 All Car Service is proudly providing quality automotive repair to the Fredericksburg, VA area and surrounding communities for over 30 years. Located in Fredericksburg, our state-of-the-art shop is ready to serve all your car repair and maintenance needs. We pride ourselves in our knowledge of general repair and maintenance to get your car back on the road. We are family owned and operated and pride ourselves on our customer service and attention to detail. 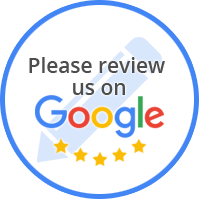 “I've been living in Fredericksburg for the last 4 years, and out of all the Auto Shops in this area my wife and I have visited, All Car Services is by far my favorite. I have yet to bring my car in for an issue (or inspection) where they haven't not only told me what's wrong, but taken the time to explain it, how it relates to the symptoms I was experiencing, what other problems might arise, and how they can fix it. They also have always shown me whatever part is defective and gotten my opinion on it before moving forward. They're always courteous, always professional, and even when they're busy they take the time to talk to you and get to know you as a person. In my humble opinion, as a customer I have always been treated with the utmost respect. When I stopped in to have some break work done but was in the process of van shopping, they told me which Van's were in their shop more frequently and told me some of the more frequent repairs they see for the models we were looking at. “Love this shop! All Car Service has awesome customer service. You won't have to worry about getting ripped off here. This is like having family fix your car. Always reasonably priced and have helped me out in many a pinch with transportation. “I first called Jon about a strange problem I was having with my honda. They were straight with what they told me I needed. They always kept my maintenance right where I needed it to keep my car on the road. If your looking for straight talk and excellent service then this is where it is. You arent ever going look for another shop.